These eggs are purple, or maybe another it is another color, they are colored eggs for sure. As best I can tell, they are boiled eggs, and the color is to help the buyer to know they are not normal eggs. This photo was taken in the Public Market of General Santos; I am realizing if you asked for Lions Beach, you would be close to the market and in an interesting area of GenSan. 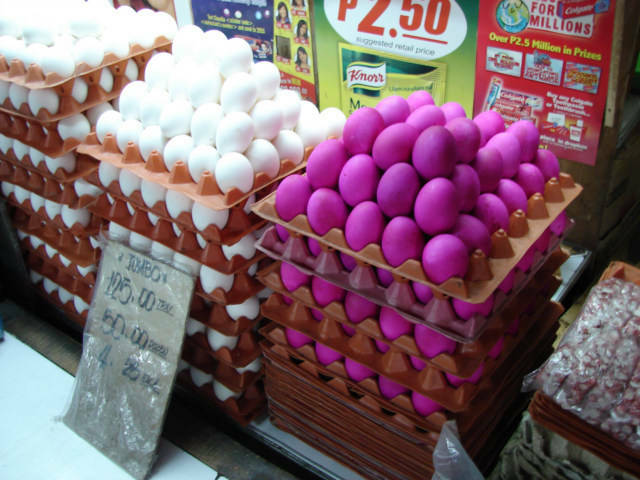 The English is touch and go here, it is not as simple as to ask a person and they explain in English, I stopped at many of the same type of egg stands and asked, why are they purple, however, they did not answer, finally a man answered so I took the photo. I am not sure; maybe they boil and soak them in Salt. 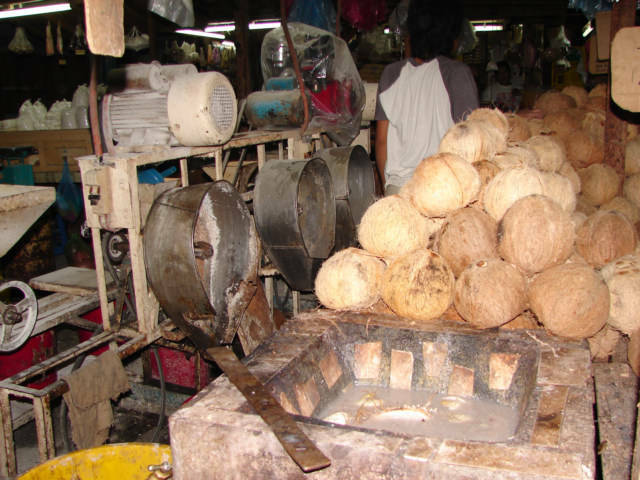 This is a coconut shredder in the market of General Santos; I just saw a shredder for the first time in Bandung, Indonesia. I am wondering if I have somehow ignored, or never observed one for year, it is strange, and however, the mass harvesting of coconuts is not very normal as a person would think on the planet.